These civic leaders discussed the important work of MPN and how the collective of agencies are impacting the lives of students and families in the Mission District. The extension grant allows the program to expand from five to nine schools in total, including our Beacon Sites at Cesar Chavez Elementary, James Lick Middle School and Buena Vista Horace Mann K-8. A number of partnering organizations were on site as part of a resource fair for families to become more acquainted with the scope and work of MPN. Members from Urban Soccer Park were also in attendance to witness the ribbon cutting of the soccer field they donated to the school earlier this year. 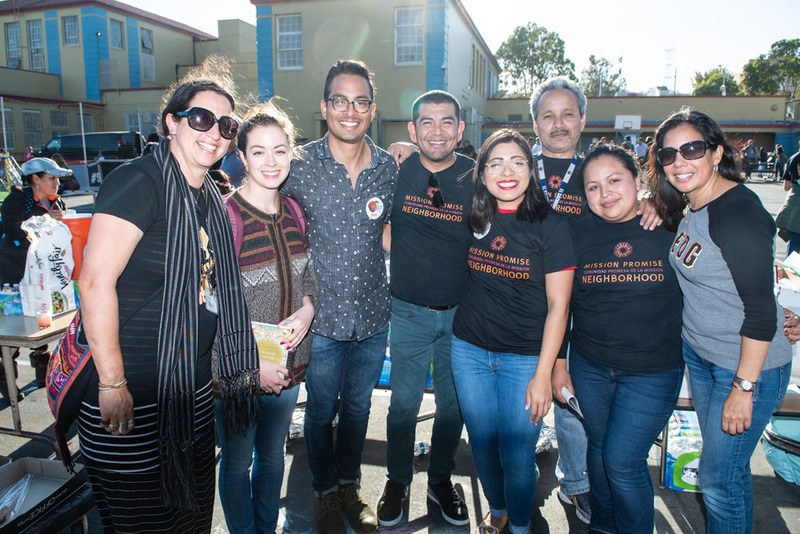 It was a big day for the Mission District Community and a testament to how collective, wrap-around services addressing economic, social and educational inequality can effectively improve the lives of those most in need.